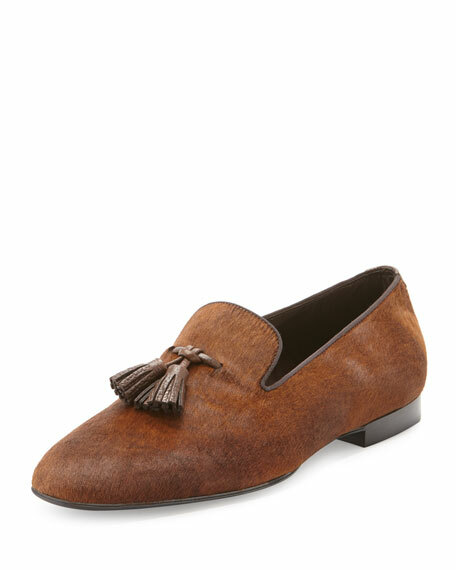 Tom Ford "Chesterfield" loafer in dyed calf hair (New Zealand). 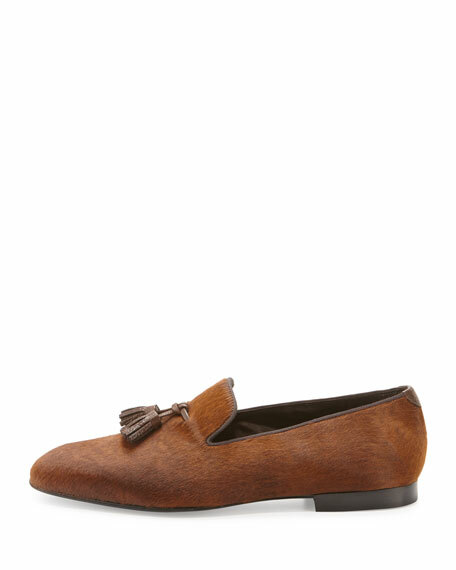 Tied suede tassels at notched vamp. 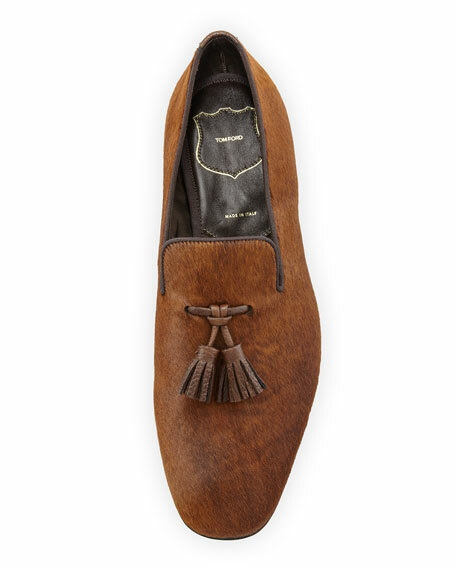 Made in Italy of New Zealand material. For in-store inquiries, use sku #1785029.